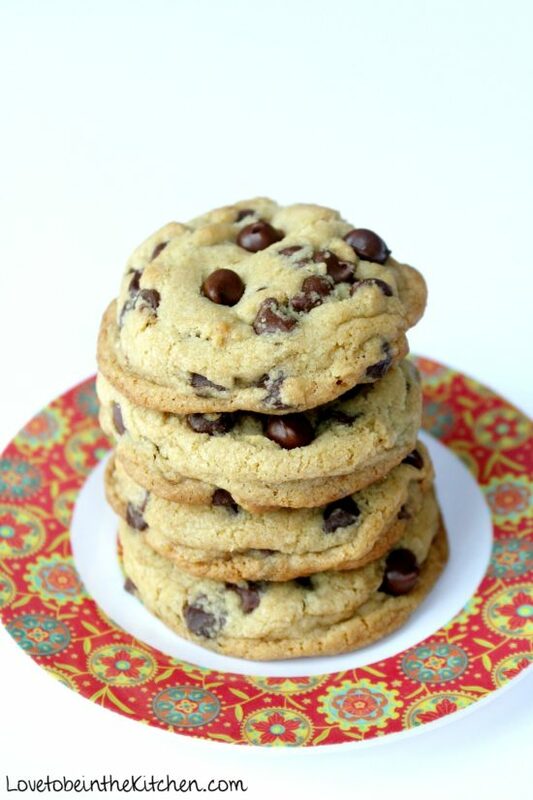 Find the recipe below for the best Thick Chocolate Chip Cookies! 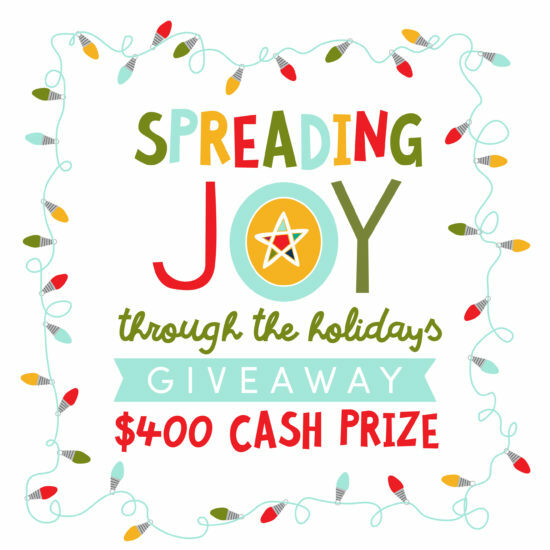 I’ve teamed up with some amazing bloggers for this great opportunity for one of you to win $400 cash! We want to not only make this holiday season a little financially easier on you but also spread a message of joy. There has been so much negativity in the world, especially lately. We want to inspire service, love and kindness. To help bring happiness to more people all of us bloggers included in this giveaway have donated money to Toys for Tots. So far we are donating a total of $175. There are so many ways to spread joy this holiday season and I want to focus on kindness. I’ve learned more than ever this year how much a kind word can mean. In my 3rd trimester of pregnancy I got so many comments. Many of them were really thoughtless and hurtful. I found it so insulting for people to be so careless with their words to me especially when the end of pregnancy is already hard enough on its own. But then there were so many kind people who said kind words to me that made a world of a difference. Or those who saw me struggling on my own at stores with my 3 kids and large belly and offered to help me. The things they said and did to help me probably didn’t seem like much to them but made a world of a difference to me. I want you all to be observant as you are out and about this holiday season and help those that may be in need. Although many times you may not know just by looking at someone if they need a little brightening in their day. 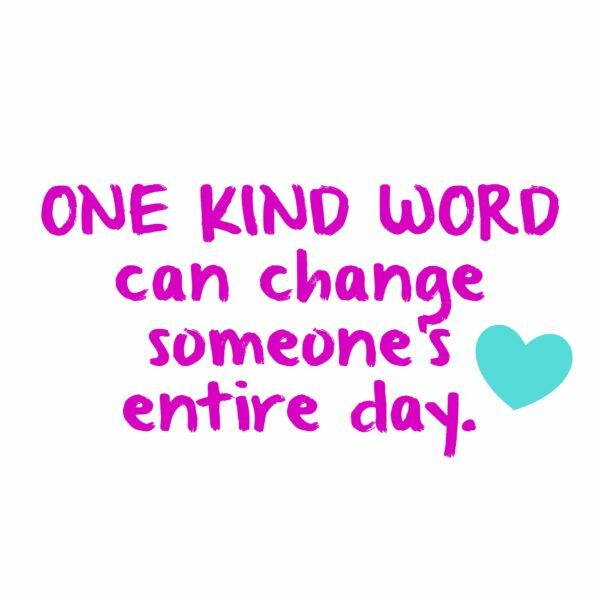 So it is always a good idea to smile at someone, say something nice or help them out. As you all know I love baking and that is often how I show my love for others. 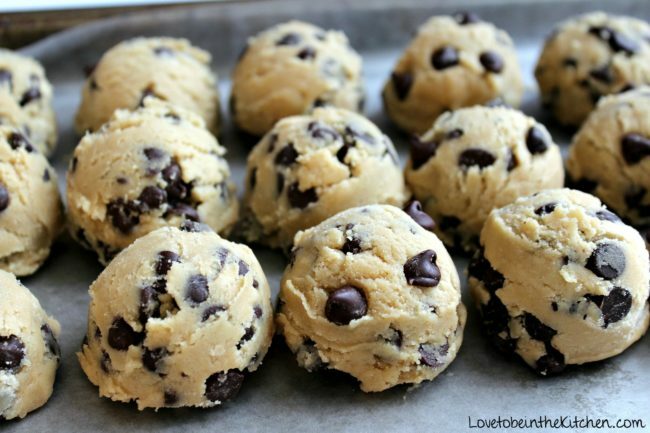 If you’ve been around for awhile you know how much I love my Perfect Chocolate Chip Cookies. I love to make this recipe and give it to friends and family to show my love for them! This Christmas season you can add a little festivity to these cookies by adding red and green M&M’s. It’s such a fun and simple way to spread joy to others. It makes for the perfect neighbor gift as well! I hope you enjoy this recipe and remember how simple it is to spread joy and kindness to others. I’d love if you let me know in the comments how you will be spreading joy this holiday season. Don’t forget to enter the giveaway below! Good luck! Saying Merry Christmas to everyone, buying thoughtful gifts and donating time/money to those less fortunate. I love all of that! And I hope you have a wonderful Christmas! That is such a wonderful goal! I think it’s so true when we try to serve more it will become more of a habit! I plan on spending more time doing activities with my children this holiday season and less time shopping. I think the time we spend together means so much more to them than another toy ever would. I absolutely love that! It will really help them learn that Christmas is less about the gifts and more about the love and spending this time with family. Thanks for sharing! I have been packing up quite a few household items and clothing that I will donate. I will volunteer my time to help others in my local community. I’m committed to spreading joy this holiday season by looking for the little moments of gratitude and thankfulness. I usually donate to the less fortunate every year. I try to pick a family that needs help weather it’s family or totally strangers. I will try my best to make sure that have a great Christmas as well. I try to be cheerful and greet people with a Merry Christmas or Happy Holidays. I also help the local Salvation Army with preparing food baskets. Committed to sharing joy with the kids, rather than yelling at them! I plan to donate to the children I sponsor, and to my local food bank. Make cookie baskets and time for those we don’t see that often. Also try to patient and get along with certain family members. I am committed to spreading joy this holiday season by volunteering any free time I have to my community! I am flying out of state for the holidays. I commit to spreading joy by being mindful that everyone is under stress……and I will be kind and friendly to all. I love to share joy and happiness during the holiday season! We’re gifting Christmas to four needy families through Scott’s office for spreading joy this holiday season. It sounds lame, but I make a conscious effort to smile at people, and keep a cheerful spirit in general, when I’m out and about. Many people seem so surprised to encounter a smile and a kind word…you can see instantly that it is “catching”. I love when a tired/bored/blue cashier or random stranger lights up at the sight of a smile and a cheery word. I plan to ring the bell for the Salvation Army one afternoon soon.